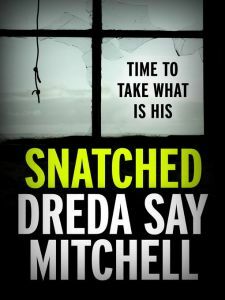 In 2014 Dreda Say Mitchell exploded back on to the crime scene after a three year absence with a new series, starting with Vendetta. I loved this book about Mac who wakes up to find himself sharing an hotel room with the corpse of his girlfriend and the cops at his door. So begins a tight time schedule (and a potentially very bad day for Mac) as his colleagues, including D.I. Rio Wray try to track him down as Mac tries to avoid his colleagues in the hope of clearing his name. Mac’s day may have started badly, but it is only going to get worse. Vendetta left on a cliff-hanger and a new e-short story, Snatched continues on from the end of Mac’s ‘journey’. Will it be ‘Happy Ever After’? In Say Mitchell’s hands that seems extremely unlikely. 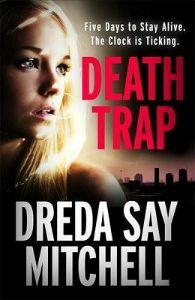 Also, don’t forget to order Say Mitchell’s next book, Death Trap where D.I. Rio Wray takes centre stage to protect a young girl who witness the murder of two family members. It takes all of Wray’s power and ingenuity to keep her witness alive long enough. Snatched is available to download now priced £1.99. Death Trap is published on the 8th October 2015 priced £6.99.